Oman is one of the nations in the Middle East that you probably don’t know much about. That’s because it is a prosperous and stable Middle Eastern nation which makes its anathema to a news media hungry for stories about turmoil and failed states. Here are some fun facts to get you more acquainted with the Sultanate of Oman. Humans have lived in what is now known as Oman for at least 106,000 years and the city of Dereaze is at least 9,000 years old. When the Portuguese entered the Indian Ocean trade they coveted the port of Muscat and took over the Omanis for almost 150 years until local tribesman drove them out in 1650. The current ruling dynasty, the Al-Saids took power in 1749, even though there was a brief period in 1913 in which Oman split into two countries with the religious Imams ruling the interior with the Sultans ruling the coast and the current capital city of Muscat. Oman has enjoyed a strong relationship with the United States for over 200 years, and Oman was the first Arab nations to recognize the United States as an independent nation. Former Presidents George H.W. Bush and Bill Clinton both visited Oman while in office. Oman was the only member of the Gulf Cooperation Council to oppose the Saudi intervention in the Yemeni Civil War. They have also worked to help displaced Yemenis by sending in supplies, taking in refugees, and even offering Yemenis use of Omani hospitals. Oman’s current leader, Sultan Qaboos took power after deposing his father because he wanted to end the nation’s isolation and modernize the country’s infrastructure and domestic policy. He has caused some worry in the region, because the 74 year old Sultan has not named an heir. Terrorist attacks are nonexistent in Oman. The Global Terrorism Index (GTI) reports that Oman and Qatar are the only two countries in the region where terrorism has had no impact. Violent crime is almost non-existent in Oman. The United States State Department Bureau of Diplomatic Security calls Oman’s violent crime “extremely rare” compared to other nations, with the most prevalent crime being petty theft. As of 2002, all Omani citizens are eligible to vote for the Consultative Assembly of Oman which is the lower house of the Omani legislature. Oman is a substantial oil producer. Since mid-2000, they have consistently produced over 900,000 barrels per day. Before 1970, there were no hotels in Oman. Since the late 1980s, when the government opened the country to tourists, hundreds of luxurious hotels have been built. Tourism is a growing industry in Oman. In the most recent available numbers in 2013, it was reported that 2.1 million tourist visited Oman. Most of those tourists (202,000) were from Europe. The Omanis were once considered among the greatest ship builders in the world. They used Coir – rope made from coconut fibers – to lash shipboards together. Yalainous (23-79 AD), one of the earliest Roman historians, references Oman in his work. He called it Omana. There is no income tax in Oman. Omani citizens are only required to make deductions for social security contributions. Tipping is not a common practice in Oman. Some more expensive restarants may add a small service charge to your bill, but tipping is usually not required. Taxi cab drivers do not expect tips unless they help you with your bags, and then you should give them 1 or 2 Rial. Frankincense tree grow in the wild in Oman. They are prized for their aromatic resin often used in perfumes and religious rituals. The city of Ubar once controlled much of the Frankincense trade but was destroyed because it was thought to have strayed too far from religious principles. Oman is famous for breeding Arab horses. The horses are quite expensive and sold throughout the world. It is said that Zaad AL-Rakeb was the first horse in Arabia and the Omani Arab horses are said to be part of his bloodline. You must have a permit to purchase alcohol in Oman. Oman does not prohibit alcohol, but you must buy a permit that allows you to spend up to 10% of your income on alcohol. Date Palms are one of the most important crops in Oman. This sweet fruit is often served with small servings of coffee at local cafes. The Muscat Clock Tower is the oldest monument in Modern Oman. It is a popular landmark and tourist visit the site regularly. Oman’s top export is energy related gas and mineral, but it is also one of the largest exporters of cars in the region. They reported $3.83 billion in export revenue from automobiles in 2013. The Grand Hyatt Muscat is the largest and one of the most luxurious hotels in Oman. 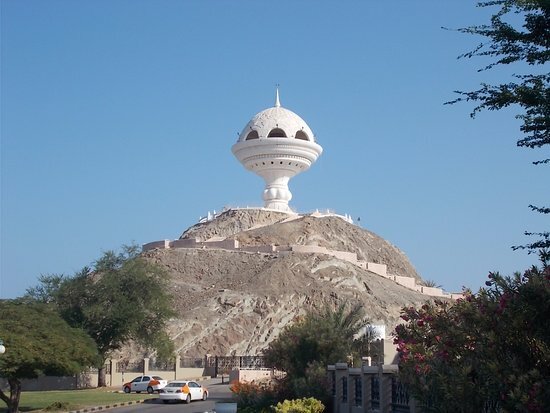 It is situated on a beautiful stretch of beach in the Sultanate’s capital. There is only one public university in Oman. Sultan Qaboos University has over 15,000 students, and the student body is almost evenly divided between men and women.